Food tastes even better when presented well, don't you agree? 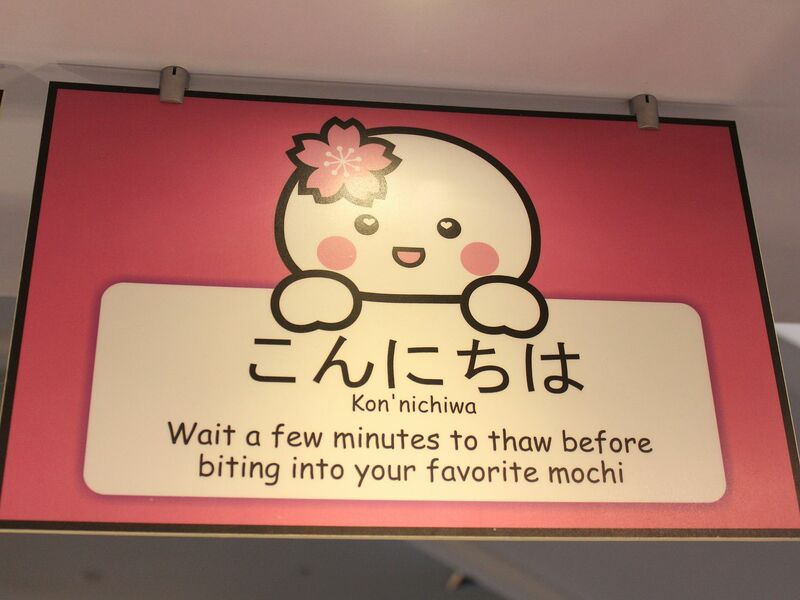 Then how would you like to enjoy your ice cream the "kawaii" way? 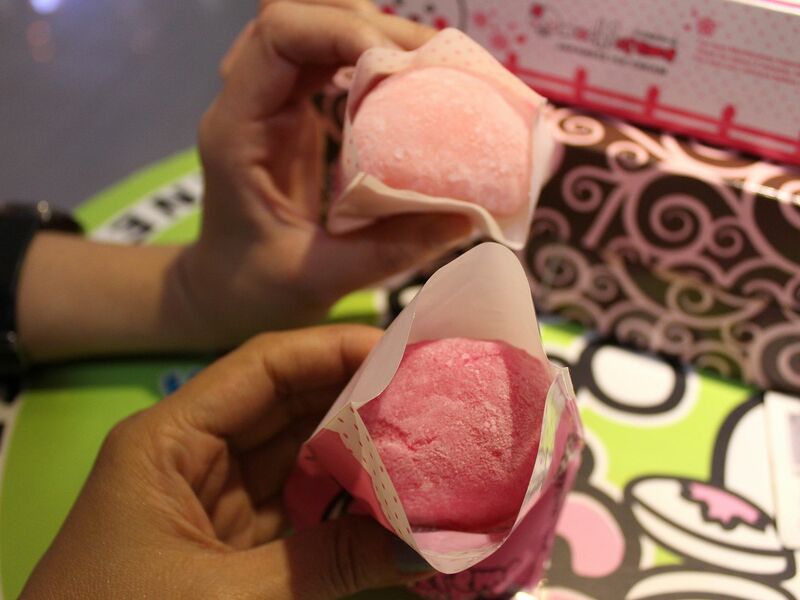 Cute packaging, delectable-colored dough and a yummy ice cream inside to satisfy your taste buds, put those all in one and enjoy a ball of Mochi ice cream! 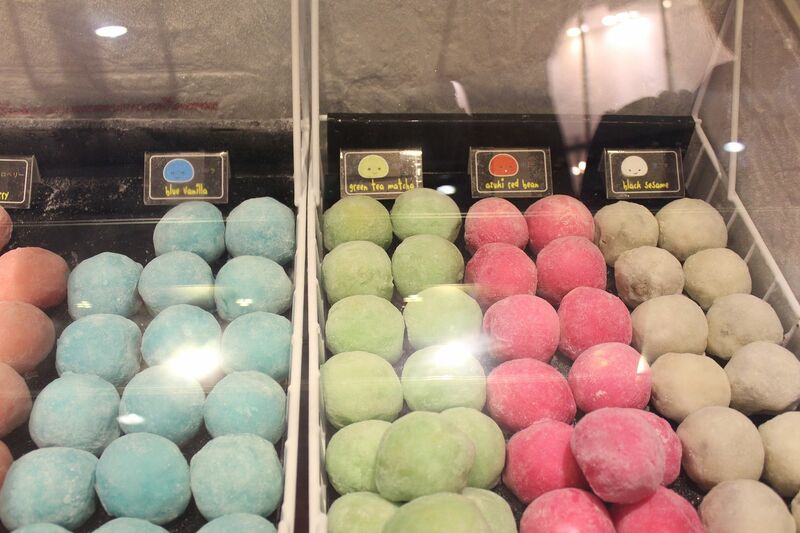 Mochi is a traditional food popular in Japanese cuisine, made from specially treated rice and is traditionally exchanged at the New Year, although the popularity of the food has made it available in fresh and frozen form year-round in Japan and some other parts of the world. 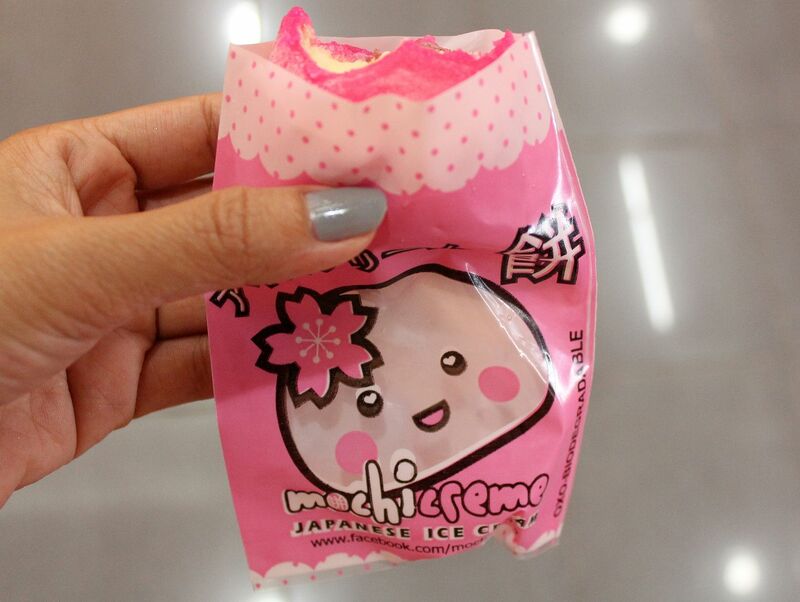 I have been wanting to try Mochi Creme Japanese Ice Cream so I'm happy I was able to do so today! 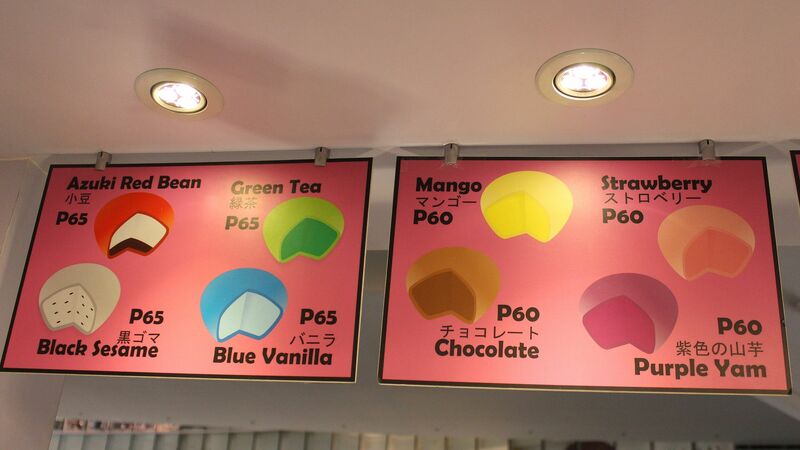 So many yummy flavors to choose from! 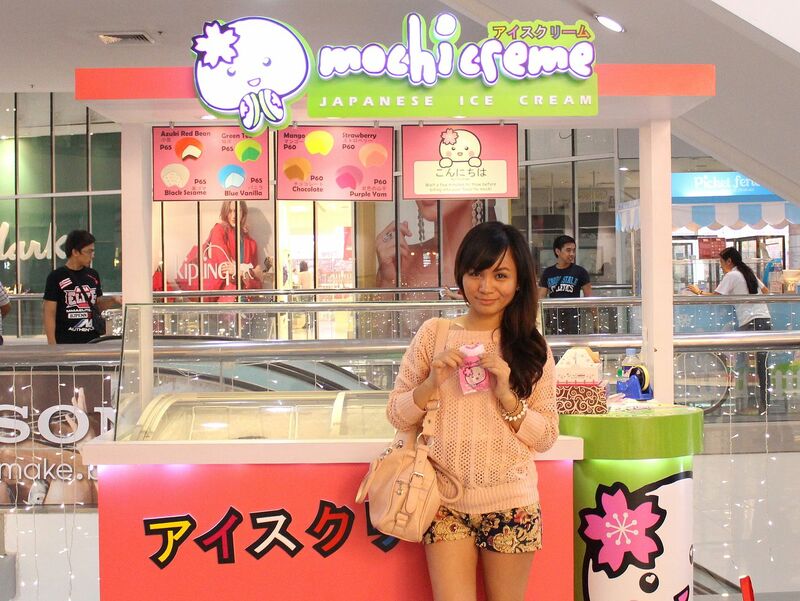 One thing I like about Mochi Creme, aside from the delicious ice cream and the cuteness of the packaging, is the friendliness of their staff! 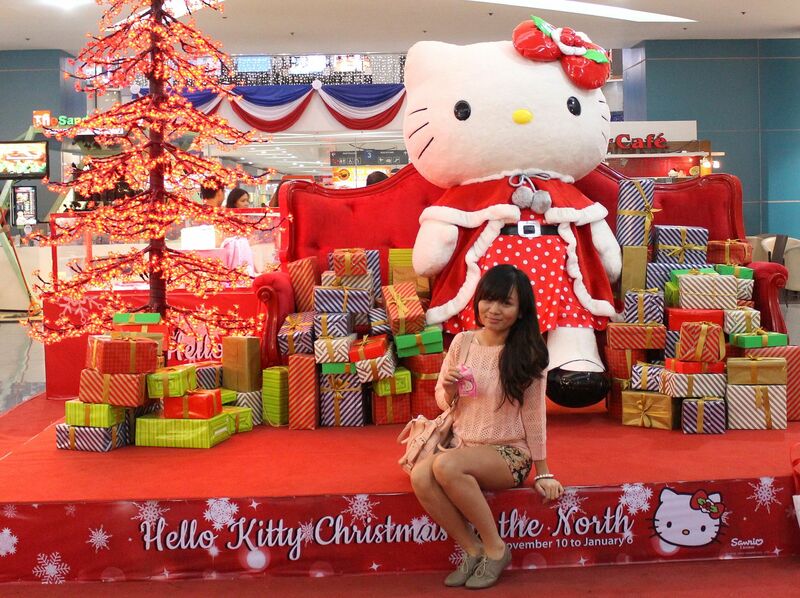 You notice that I was able to take lots of pictures even if this was not a sponsored post, right? 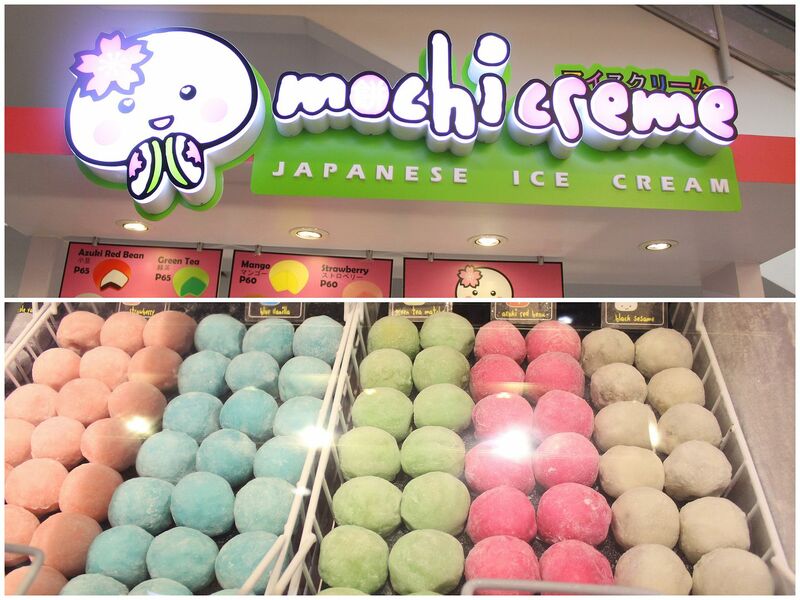 I asked the lady if I could take some photos and she gladly said yes and even arranged the mochi so they look presentable. I asked her if her boss allows people to take photos of their products, she said yes. 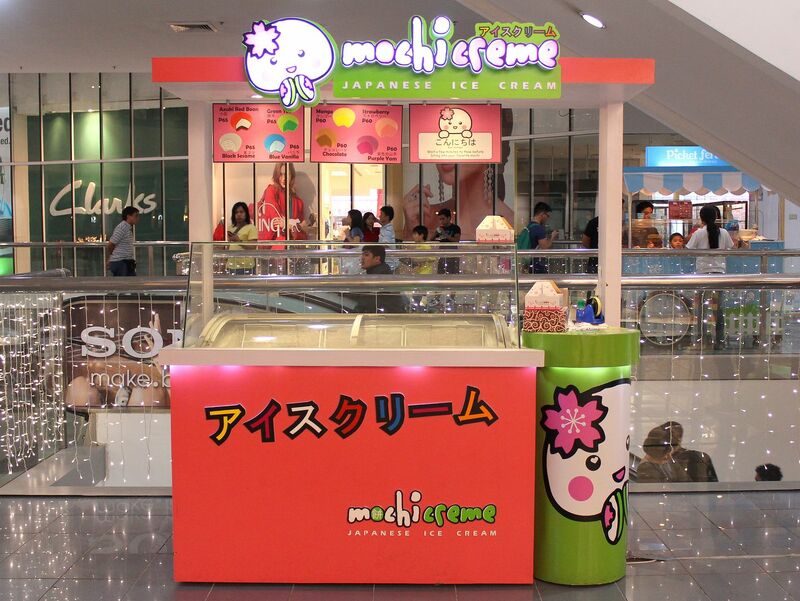 Kudos, Mochi Creme! Wise decision! That's one thing I don't understand about some restaurants/establishments... Why don't you allow people to take photos?  You know blogging is very vast these days, right? You won't know who could be blogging for you for free, so please just do your brand a favor by letting people take photos. Thank you! I ordered my favorite, Azuki Red Bean! My friend ordered Strawberry. She was funny because she kept saying Kazumi instead of Azuki. lol! Even the plastic wrapper is so cute, I want to keep it! 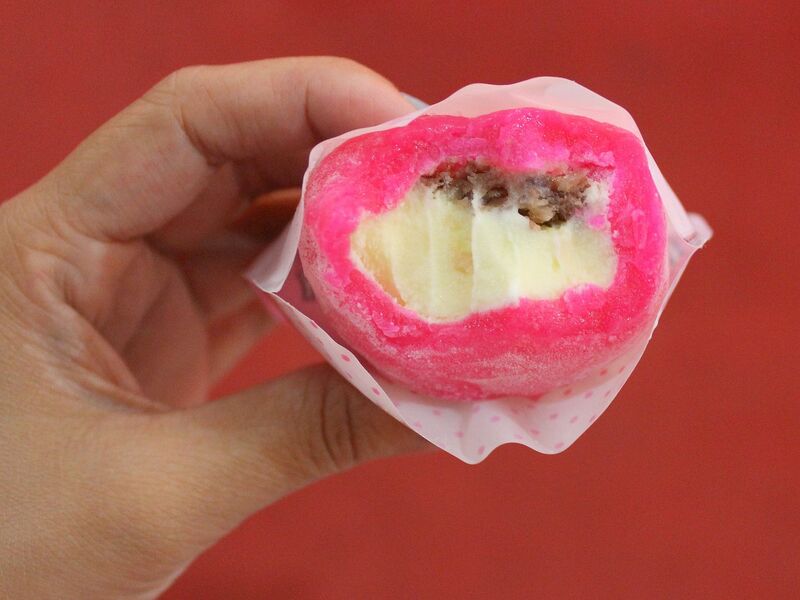 What could be more perfect than a pink rice cake dough, just-right sweetness of vanilla ice cream and the chewyness of the red beans!! Yummy!! 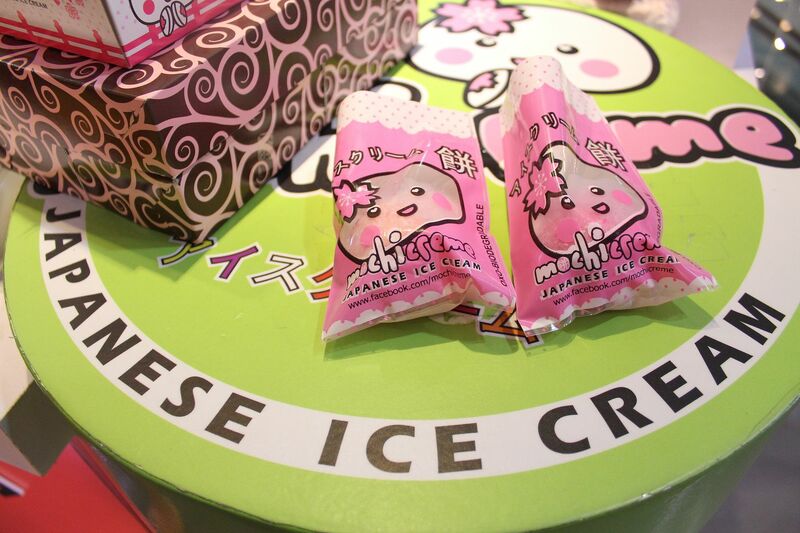 The ice cream tastes to good and looks so cute, I simply had to eat it beside Hello Kitty to complete the Japanese vibe! 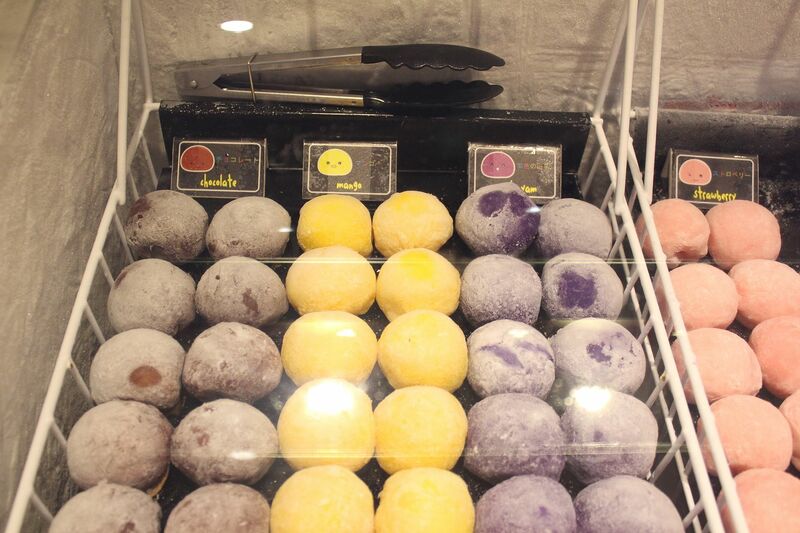 Have you tried Mochi Ice Cream? Do you like it as much as I do? Leave your comments below.